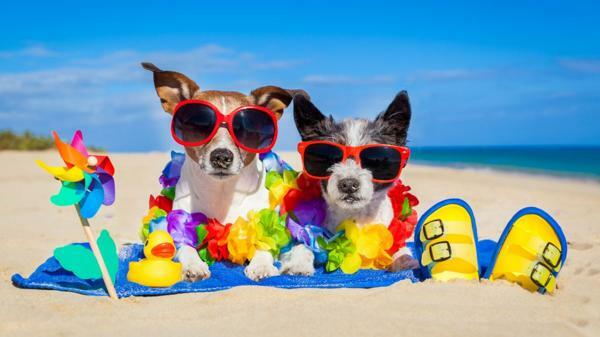 The summer season arrives at Palmar Logística we want to give you some tips for pets in summer that do not come to remember. Frequently check that our pets have fresh water. It is essential that they have a space in the shade available. Protect the schedules of the rides, especially in areas of pavement to avoid burns on the legs of your dog. Protect from the sun the short-haired races. Keep the hair short of your pet in summer to make it fresh. Perform more moderate exercises and at appropriate times, pets, especially puppies and active breeds need to wear energy and physical exercise is well-being for all pets without distinction of race and age, but in summer we must choose the Suitable hours for practicing exercises. Frequent cleaning, external desparatisación control (fleas, ticks). Beware of the car, it seems a relevant advice but in summer every year there are deaths from carelessness. Another very frequent concern in summer are the holidays, in Spain every day is more frequent than hotels, hostels and rural houses accept your pet, are the calls (dog friendly), this is an excellent alternative for those who want to travel with your pet. But it is not always possible, especially if we choose international vacation destinations, in this case we have two options left; Ask a good friend or family member to take care of our pet or the option of hotel or canine residence, in the latter case is highly recommended to inform and advise on the quality of offer available for your dog or cat. Who can best advise you is your trusted veterinarian. We hope that our advice has been helpful.